When you experience it for the first time, you can’t help but wonder why. Not why your life hasn’t ever taken you that way before, but why the feelings it evokes haven’t found you before. At once new and then again strangely familiar, they sink into you as if they’ve always belonged to you, sailing through your veins like someone returning home after a long trip abroad. You have unknowingly carved out a space inside yourself, left it open all these years and now, like a dream, the feelings have begun their delightful, welcome infection of your soul. It begins at the base of the mountain just as the road starts to bend. From the ground, it narrows. From the sides, it tightens. And from above, the sky starts to disappear, swashes of blue only seen now through the rare parting of leaves. You don’t realize you are holding your breath. You don’t notice your speed or even if any other cars are behind you. All you care about is the unfolding before you. Your body leans with the car, to the left and to the right and back again. You feel as if you are somehow dancing. In your seat. Inside yourself. Outside all you have ever known. You breathe in tropical, humid, big-leaf flavors. The wind from your open windows helping you gulp up as much as you can, inviting you to let the forest tickle your skin, tempt your senses, tantalize your imagination with secrets. Secrets that only hint of themselves. 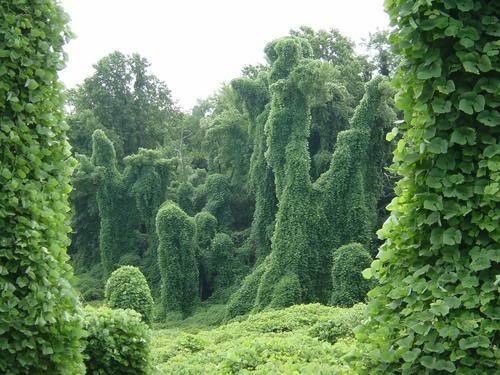 The vines of the invading kudzu cover acres of the mountainside creating elaborate topiaries on the skeletons of bushes and trees. Branches drip with strangulation. But leaves open up into fresh hope. Life and death move forward, together. The incline increases. Your ears fog and pop. Is this mist or a cloud? The forest must be breathing. You think you may even hear it. 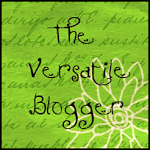 Can one hear the outside from within? For that’s exactly how it feels—as if you are as much a part of this wild amalgam of mystery and beauty as that tree there, its spindly trunk wrapping itself like an octopus up and around, further, higher, not just on, but above the stone cliff. Beyond all that is stationary. And now you become the water trickling down the slippery, moss-covered stone, your spirit suddenly fluid. You refresh. You convey. You nourish and hydrate. You are life and give life—You breathe it all in and feel. You feel water’s truths and know they are also your own. All the beauty that was once yours wants to find you again. Not by taking you somewhere new or showing you something previously unknown but by opening you up, back up to your deep feeling Self where the old is once again new, and the worn finally dares to reveal its quiet wisdom. That place where a vine or a tree or a trickle of nearly invisible water suddenly becomes a metaphor transforming you as it transforms itself. That place where we remember we are brave enough, even in the face of all the cruelty and pain of life, to stay open, to choose vulnerability over ‘tough guy’, rawness over scarring, and feeling over denial. That place where the richest treasures of life, the little things that make life magic, reveal themselves, again, for the very first time. Even on your road home . . . Yes. Living in the moment, connecting to Nature, breathing in the Light, put us in the zone of magic, peace, joy, and Love. Smile: Gary and Susan Eby: "Reflections in Spirit".